Happy Memorial Day Weekend! Lot's of us have barbecues or potlucks planned for this weekend. So in order to take advantage of the extra day of relaxation but still have an easy dish to serve family or friends, here is an amazing recipe for BBQ ribs that you can make in the crockpot. Toss them in there and enjoy your company. You can go HERE to see the recipe. Make sure to read all the reviews. It's pretty unanimous that this is a winner. Do you have a recipe you'd like to share? 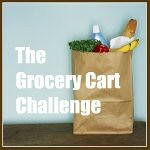 Please link directly to your post, not your home page, and please include a link back to the Grocery Cart Challenge. 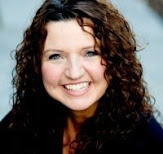 Thanks for hosting Gayle, and for sharing the yummy ribs recipe. It's great for a holiday weekend! Thanks for hosting! I posted a recipe for rhubarb shortcake today. I realized when I was making it that it is definitely a frugal yet YUMMY recipe! The rhubarb was free from my cousin's garden, and the other ingredients are bulk staples in my house as the shortcake part is from scratch. Yum! Those BBQ ribs sound delicious. Adding these to my "Try It" list. Those ribs look fantastic! Thanks for hosting! I love crock pot recipes. I've never tried ribs - thanks for sharing the recipe! I am no good with the grill, so I love the idea of ribs in the crockpot.